Many studies have proven that investing in training for staff has many long-term benefits. Up-skilling enables everyone to do their jobs better and increases their productivity. Investing in your employees also makes them feel valued and gives them a chance to offer something more than their current capabilities. A study found that 57% of employees would like additional skills training to progress further in their current company. Loyalty and your people are worth investing in. 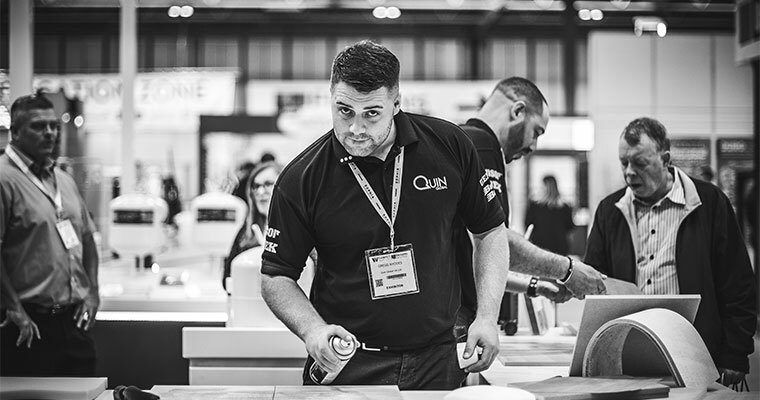 Therefore here at Quin we encourage our employees to take the opportunity to experience different areas of the business and additional training to increase their skills. Interested in how this happens? We followed Andy whose main job is based in our warehouse facility to find out how he got on being in the shoes of one of our Business Development Manager's (BDM’s) for a week. Meet Andy Riley who is currently an Operations Assistant, at Quin Global. He spent a week with one of our BDM's Gregg Rhodes. Andy has been keen since he started to find out how the sales team tick and to delve deeper into the inner workings of the reality of being out on the road. We sat down and chatted to Gregg and Andy to find out how the experience went and what they both learnt. Andy, how did you find your visit with Gregg? It was interesting and gave me a real insight into what working as a salesman at Quin is like. There is a lot of customer relationship building and digging deep into their requirements to find out what type of adhesive is right for the customer's needs. I also never realised just how much travelling was involved with the job, during the four days I was with Gregg we travelled over 980 miles and I enjoyed every second of it! Even all the roadworks that seem to be littered all over England! What was the purpose behind your visit with Gregg? I wanted to find out what it was like to step into a sales rep role and this gave me the perfect opportunity to see if I enjoyed it. I genuinely believe you should enjoy your job and this gave me the chance to see if this type of role was something I would enjoy. Turns out I absolutely loved it! Gregg, what preparation did you do in advance of Andy’s visit? To ensure Andy had as much opportunity to experience the wide variety of jobs that comes from being in a sales role. I contacted three of my customers to organise some joint visits to prospects of our customers, where we did some demonstrations of the products and provided solutions to their problems. This way Andy could receive more of an insight into customer visits and gain valuable knowledge of developing a working relationship with customers. I also felt it was important that he experienced a day in the office, as although it’s important to develop relationships and provide solutions and demonstrations to our customers, reporting back is also important. We spent one day in the office doing spreadsheets, writing reports and contacting the customers. This way he received as rounded view as possible for the duration of his visit. Andy, what did you feel you learnt from the experience? There were many learning points for me during the trip and Gregg was a brilliant mentor to learn from. I would say the main things I learnt were the 7 stages of our sales process and body language was another great tip that Gregg passed on. He explained just how important it is to read a situation correctly from a customer’s body language and interpret from that how to proceed. Product knowledge was another learning curve for me and how to use the diverse types of adhesives for what materials correctly. Finally, meeting distributors and end users was interesting as it gave me a real understanding of what type of products our customers require and the solutions our adhesives provide. Seeing our adhesives in action was where the real magic happened. The reaction from the customers show just how good our adhesives are and how we help them solve their problems. Gregg what did you feel were the most important things for Andy to take away from his visit with you? The main learning I wanted to give Andy was that it's not about going in and selling a product straight away. It’s about questions and answers and understanding what the customers are trying to achieve, from there you can then provide a product suitable for the application. Initially Andy thought sales was about selling what you had to offer and persuading your customer to buy something. By the end of the week he was very comfortable with the sales process and that it’s all about providing a benefit to the customer. The customer visits really showed Andy the importance of developing relationships and how quickly you need to start building these relationships to be classed as a customer’s trusted adhesive advisor. You work with the customer to understand what their requirements are and once this has been determined you give them a choice of a few products to demonstrate and sign off on the product that is best for their application. This way our customers always receive the right product for the right application. Andy, did you enjoy your week? The other parts were getting the opportunity to meet new people and digging deep to find out what the customers really required. What were the main learning you took from the week? What products to use on what materials. Gregg, as a BDM what would be your top tips to Andy going forward? 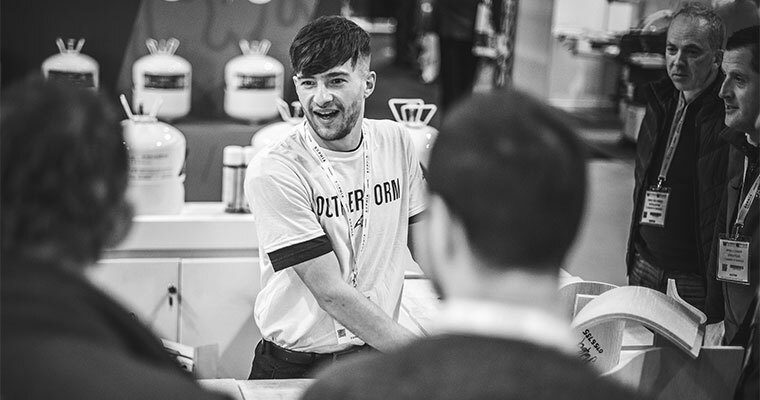 The week really crystallised for me the huge amount of hard work that goes on behind the scenes before a customer actually receives their products. I really enjoyed the challenge this opportunity gave me from both a personal and work aspect and very much look forward to what the future holds.